The picture here, at the piano used to write most of the songs you will hear on my CD. While I do have a home studio, I prefer to write songs as I always have, at the piano first, and record the demo after the song is complete. I have to admit, I still get excited every time I come up with something new. Though it takes a lot of skill and hard work to create good songs, I still love to write. I believe it is what I do best! She began her career as a songwriter in Detroit, Michigan. She wrote her first songs at the age of twelve and turned professional at the age of thirteen. Ollie McLaughlin launched her writing career by publishing and recording several of her songs on his record labels.KAREN,CARLA, MOIRA & RUTH records. McLaughlin recorded Sharon's songs on Barbara Lewis, Deon Jackson, Gracie Darnell, Johnnie Mae Matthews(who discovered The Temptations). He also secured a UK recording for Sharon on the London based group, The Searchers. It charted in Billboard to #11 in several countries and #23 in the U.S. Thus, Sharon has a tremendous fan base in the UK. The same song was also recorded on an album titled The Londonderry Strings play the Liverpool Songbook . Sharon was named an "English" writer in the liner notes. Later, Sharon placed material with Don Davis,another Detroit publisher and producer of Johnnie Taylor and others. 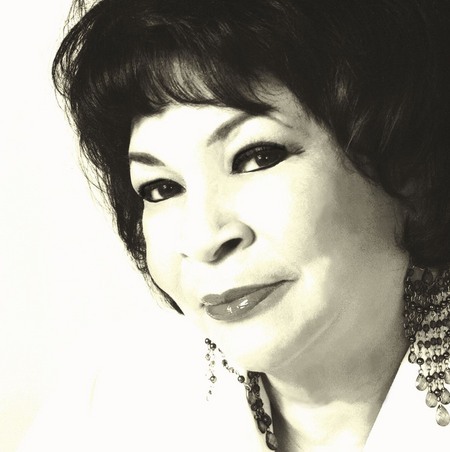 He recorded her songs on current Hall of Fame artists, Mavis Staples and Etta James. He also recorded one of her songs on The Three Degrees. Note: Rappers, Pete Rock & C.L. Smooth used the track from the Three Degrees tune to record the title track of their CD called "Return Of The Mecca". In 1973 Sharon was signed to Columbia Records by then president, Clive Davis. Her released single titled "Get Out Of My Life" was produced by Toxey French and strings arrangements by Philly sound creator, Bobby Martin. She later associated with NEA jazz award recipient, Benny Golson. Benny Golsons Columbia Records album, "I'm Always Dancin' To the Music", contains a Sharon McMahan composition titled, "Love Is The Key", with a touching vocal from Mortenette Jenkins and a warm sax performance from Golson. Sharon also collaborated as lyricist with Golson on the NBC-TV,mini-series drama, "The Sophisticated Gents",writing lyrics for six songs including the title track. Unfortunately, for Sharon, her screen credits were not published, as agreed, but her lyrics speak volumes in this film. Soon after, Sharon was introduced to Otis Blackwell,writer for Elvis Presley, Jerry Lee Lewis, and others. Because Sharon was born in Tennessee, Otis encouraged her to try writing a few country songs, which she did. He recorded "I'm Happy Just The Way I Am" on his Bullion Record Label. She is delighted to announce that her new CD titled, "SOMEBODY ELSE" is released on her own indie label, SO.CALITOWN RECORDS. Sharon shares writer's credits for the title track on The Stylistics newly released CD called "That Same Way". She is also recently featured as a vocalist on a new CD titled Colors Of Life on Expansion Records (UK). She sings "Olive Branch", with male vocalist, Launden Kendricks. Sharon has a strong following in the UK in relation to Northern Soul which for the most part celebrates the music of the non-Motown record labels and the works of the Detroit writers, producers and publishers with whom Sharon worked and was associated. Most of the recordings Sharon sang on as lead or background vocalist in her teen years, were accompanied by the Funk Brothers whom she came to know and respect as a young performer. They also respected the music she wrote. She worked and associated with so many in the Detroit era. She is happy to write about her memories and many of the people she knew and worked with. She has provided her "Sharon Shares" page and from time to time you will be able to read more about her and her music related experiences. Please feel free to e-mail Sharon and let her know which songs are your faves. Let her hear from you...................................................thanks! Copyright 2011 SHARON MCMAHAN. All rights reserved.